If you’re looking for a cross between the easy comfort of a bean bag chair and the support of desk chair, gaming “rocker” chairs are a pretty sweet hybrid. Here are our favorites. Each of these chairs is designed to be comfortable and ergonomically sound, much like a regular office chair. Where these differ is how they also offer some neat gaming related features, such as built-in speakers or vibrations. They’re also “rocker” designs, which means they don’t have wheels or a conventional base. Instead, they rest on the floor and rock on a broad base sort of like bottom-heavy rocking chairs. Think of it as a middle ground between a bean bag chair and an office chair. While some of the chairs listed offer Bluetooth functionality, many rely on RCA output which is pretty outdated really. It won’t hook up easily to your Xbox One or Playstation 4, for instance, but works for older systems. In which case, buy an HDMI Audio Extractor to go alongside the chair. That way, you get the best of both worlds, no matter what console you’re using. We recommend the Proster 3×1 HDMI Switch with Audio Extractor if you find you like a rocker chair but not its lack of modern audio ports. 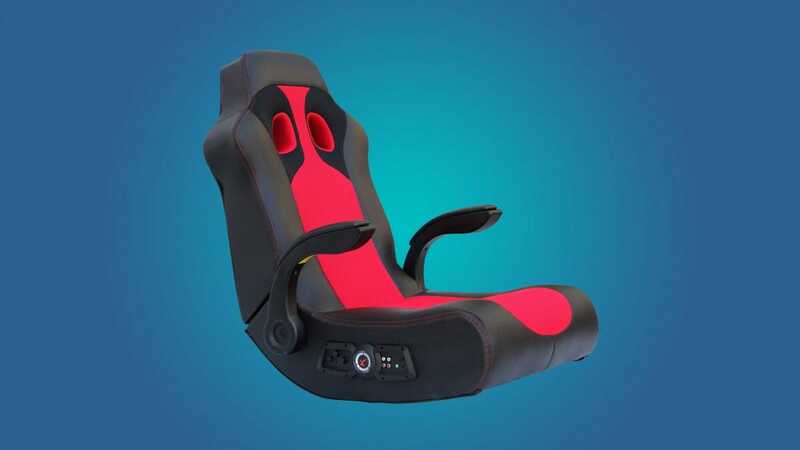 Here’s our pick of the best gaming chairs/rockers. 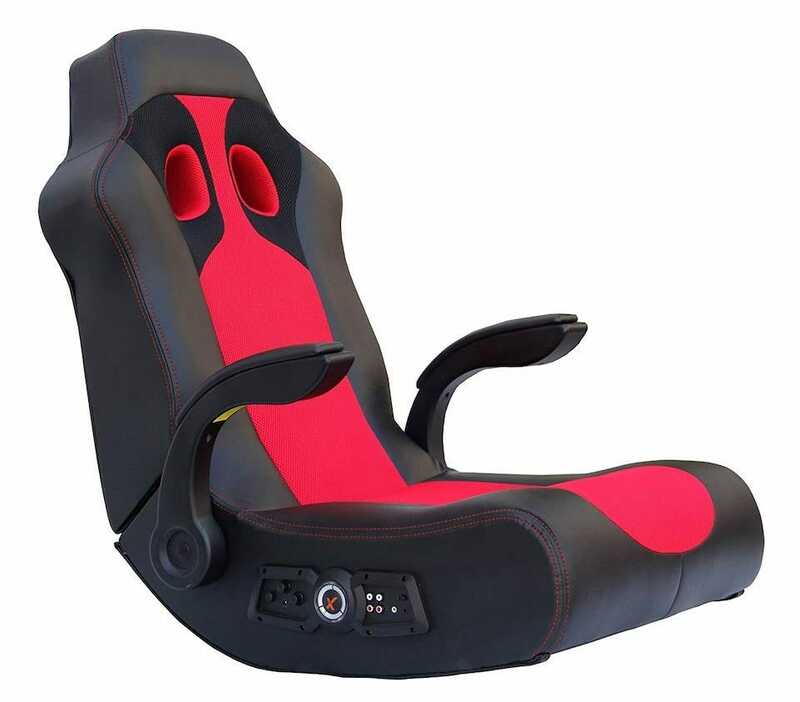 The X Rocker Ace Bayou looks like a kind of ergonomically designed driving seat so yup, it’s really going to lend itself to gaming. 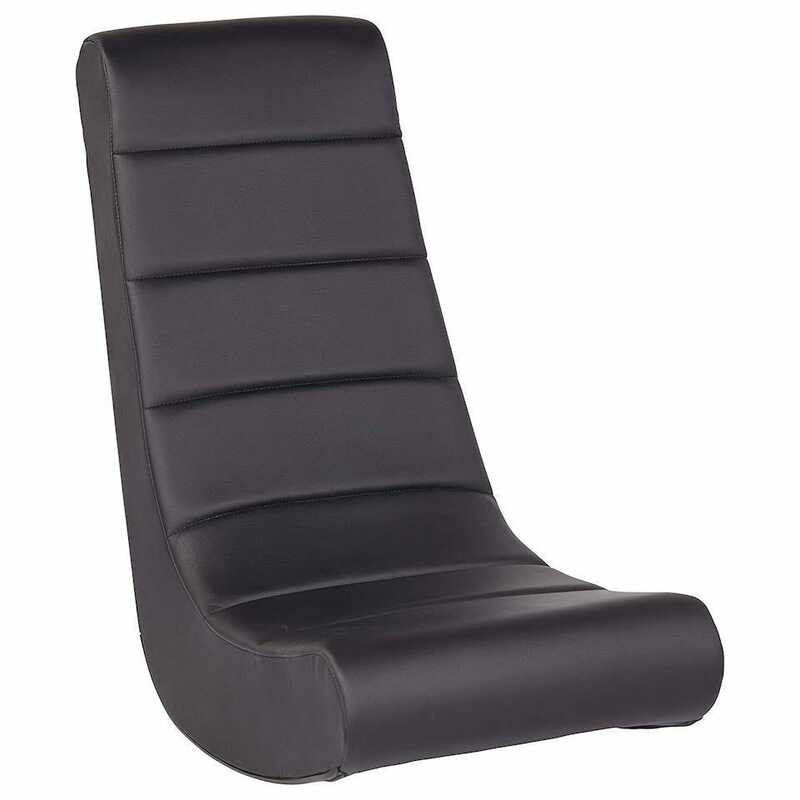 Its ergonomic seating position means you can lean back a little while you play, yet still feel comfy and supported. Armrests ensure you have somewhere to prop up your limbs too, as and when the need grabs you. The chair has built-in speakers, as well as a subwoofer built-in to the back of the unit, which also provides a form of vibration when playing. There are separate volume and bass controls too. It’s possible to play music from any source with either the headset, RCA outputs, or 2.1 Bluetooth stereo sound. The RCA outputs won’t appeal to many unless you play older games consoles, so it’s the Bluetooth connectivity that ensures this is a great all-rounder of a gaming chair. 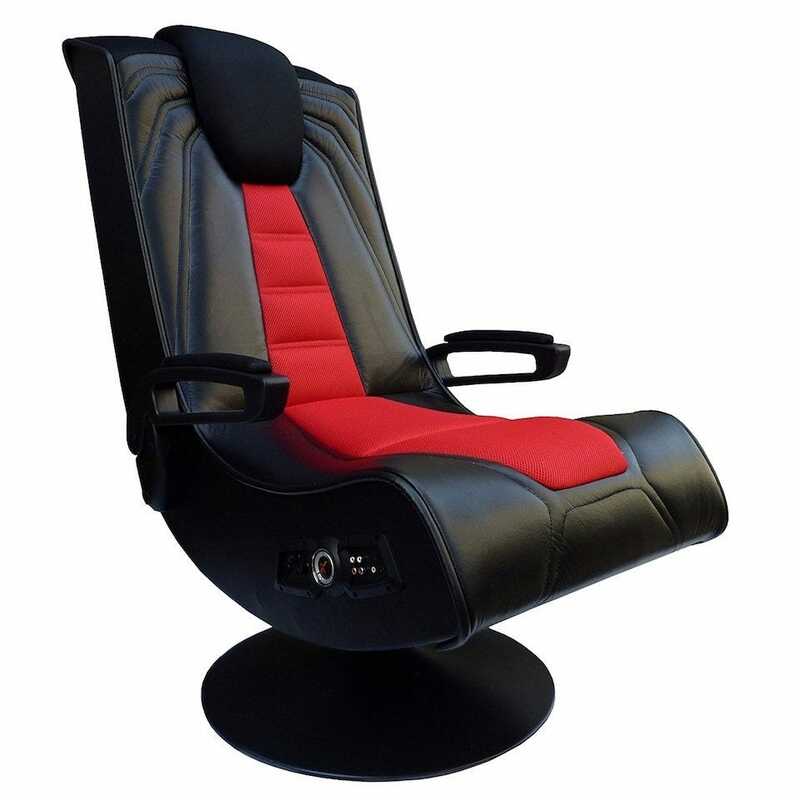 Gaming chairs are ideal for kids, as they’re comfy, well designed and often a good way of protecting your kids’ backs and necks from potential issues further down the line. If you don’t want to spend too much on what could just be a passing fad for a youngster, buy the ECR4Kids Soft Rocker. It doesn’t have built-in speakers or anything fancy like that, but it is a perfect design for children. Relatively lightweight at about 15lb and the ideal height for children or shorter adults, it’s designed in a way that means you lean just a little—just enough so that you’re comfy yet supported. The material it uses is made from soft polyurethane so it’s durable and easy to wipe clean with mild soap and water. It’s a great price for what it offers too. The BirdRock Home Adjustable 14-Position looks a lot like a regular armchair that has been squashed down. That’s probably why it’s so comfortable. Constructed from chopped memory foam and soft plush fabric, it conforms to your body so you get a perfect fit every time. 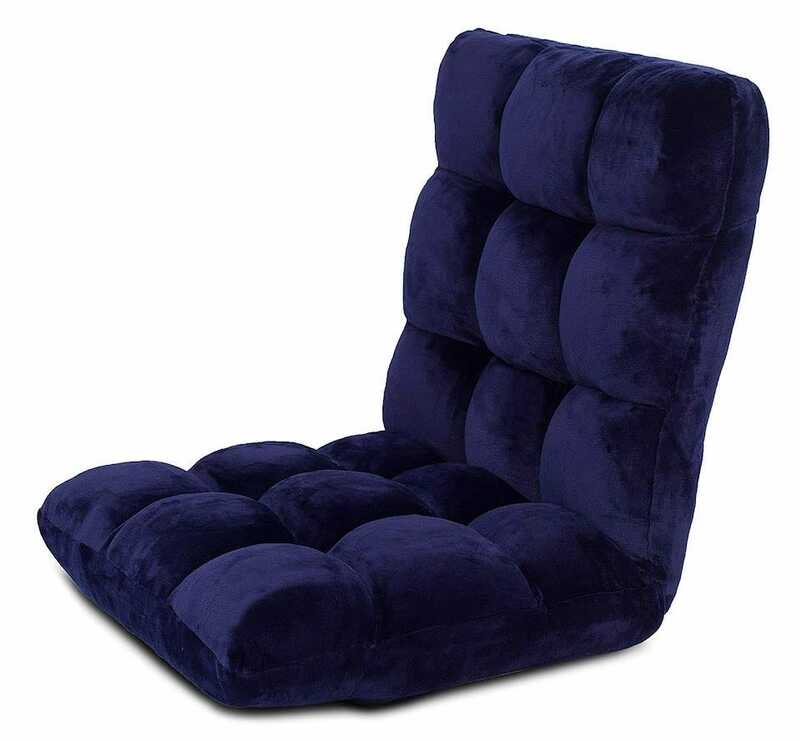 Impressively, the manufacturer claims it also adjusts into 14 different positions (hence the name) so you can choose to lay on it flat for a nap, lounge far back while watching a movie, or set it to 90 degrees while you focus on playing a video game. That might not be 14 totally unique configurations, naturally, but the flexibility means that this is an ideal chair for more than just gaming—you name it, it has a position for it. It’s great for when you hang out in your den. Few gaming chairs are truly portable but the Proxelle Audio Game Chair gets pretty close. It weighs 18lbs which isn’t super light weight, but it’s foldable so you can easily pack it away into storage or just move it into a different room. 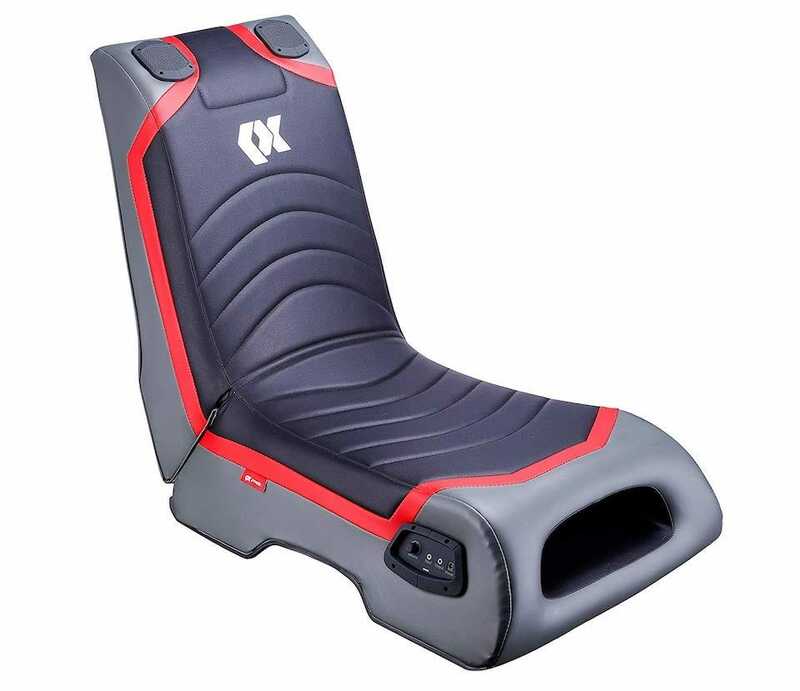 Its design looks like something out of a Mass Effect game, but it’s ergonomically designed with a thick headrest, lumbar cushion, and comfy seat cushion too. Near the headrest are two surround 3W speakers so you hear every footstep coming towards you in-game. It also squeezes in room for mesh pockets on the back and side, so there’s space for you to store a few precious gaming items within easy reach. Although it has audio ports it doesn’t have Bluetooth like the X-Rocker, so you’ll need an HDMI Audio Extractor to get the sound working on anything newer than a Playstation 3 or Xbox 360. The chair’s RCA outputs aren’t going to cut it with anything newer. The X Rocker Spider is designed with vibration in mind. Because who wants a mere controller vibrating when you could have your whole body feeling the force of a game, right? With vibration motors built into the seat, it syncs with the bass tones so you get a full body experience. Elsewhere, the X Rocker Spider isn’t quite a full rocker chair as it’s located on a small pedestal. That does offer up tilt and swivel capabilities at least, which is a useful touch if you want to move around on your seat. As is a little predictable for the field, the X Rocker Spider only has RCA outputs so you definitely need to buy an HDMI Audio Extractor, but its two speakers and subwoofer means the power is there at least. Thanks to the pedestal, it’s better geared towards tall gamers than most chairs here too.